It is generally accepted that time and resource, or a combination of the two, are some of the biggest barriers to improving AdWords campaign performance. An average account is more than likely to contain hundreds, if not thousands of keywords, multiple ad combinations, and various permutation in terms of location targeting and bid/budget management. In isolation, none of these are difficult to manage, but collectively, they can become a significant brain and time drain. The good news is that Google offers various ways to save time and increase efficiency, most of which live in AdWords shared library. 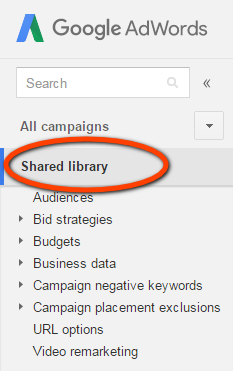 Personally I think the shared library could be better sign-posted within AdWords, which inspired me to write this post. Creating negative keyword lists is an obvious time saver, as they provide a single place to add or edit keywords across your entire account. 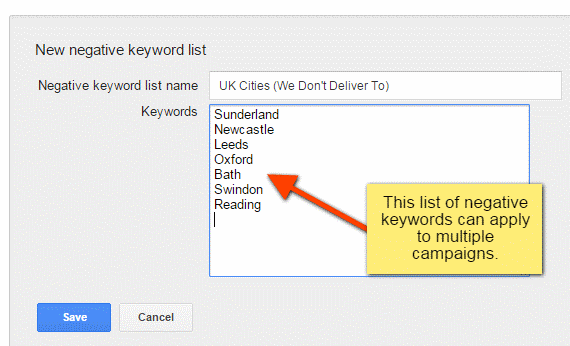 As you probably know, maintaining keyword lists for individual campaigns or ad groups is labour intensive, and prone to mistakes or omissions which can reduce campaign optimisation. Of course, there are times when you’ll need to have specific keyword lists for each campaign or ad group, but for more generic negatives, keyword lists are a no-brainer. Make sure you regularly look at your search term reports which will publish real search queries. When you discover unwanted keywords in search queries, you should edit your negative keyword lists. The campaigns using these shared keyword lists will instantly take on board any negatives you have added. Bid strategies, or flexible bid strategies, offer an alternative bidding method to the conventional way of manually setting maximum CPCs per keyword or ad group. The best way to choose your preferred bid strategy is to focus on a specific goal. The AdWords system will automatically bid, to give you maximum chance of achieving your specific goal. Enhanced CPC (ECPC) – automatically adjusts your manual bid, up or down, based on each click’s likelihood of resulting in a conversion. This bid strategy works best when the campaign has frequent conversions. Target search page location – automatically adjusts your bids to increase the likelihood that your ads will appear at the top of SERP (search engine results page), or on the first page of results. Target CPA – automatically sets bids based on your CPA (cost per acquisition) goal. Target CPA is the flexible version of the AdWords Conversion Optimiser. Target outranking share – automatically sets your bids to ensure you outrank another domain’s ads in SERPs. Maximise clicks – automatically sets bids to help you achieve as many ad clicks as possible within a target spend amount. It’s the flexible version of automatic bidding which is normally decided in each campaign’s settings. Target return on ad spend (ROAS) – automatically sets bids to maximise your conversion value, while trying to maintain an average return on ad spend. 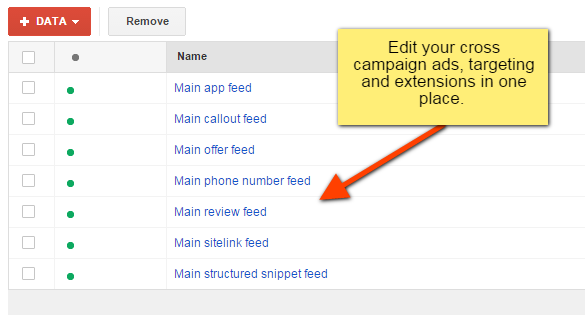 More detailed information on flexible bid strategies can be found on Google’s support pages. 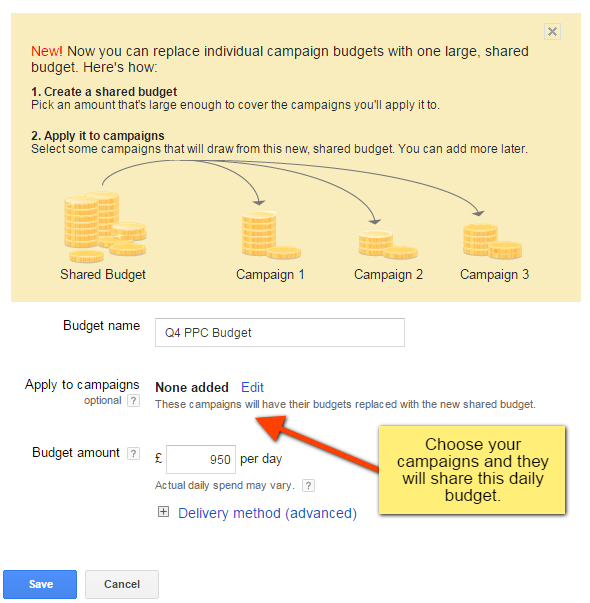 The standard way of handling budgets in AdWords is to assign a daily budget for each campaign. However, if you have multiple campaigns, you may want to consider sharing one budget across all of them, which will save you time monitoring each campaign individually. Once you’ve assigned a shared budget, AdWords will automatically adjust how your budget is allocated across each of your campaigns, to help you improve your return-on-investment. When was the last time you tried to change your ad extensions for 50 campaigns? It’s time consuming and laborious work. Sitting in the Shared library is Business data, which allows you to manage data sources for ads, extensions and targeting. It includes: ad extension data, location targeting data, parameters (ad customisers) for your ads and dynamic display ad feeds – an inventory of your products or services that’s sourced to create ads. 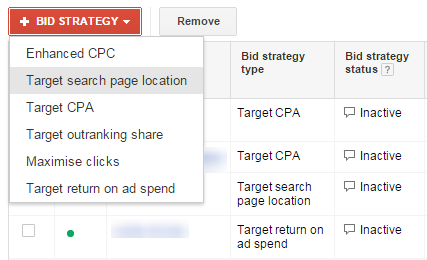 Have you ever wondered how AdWords pros can make multiple campaign changes so quickly? Chances are they are using the AdWords Editor – a free tool provided by Google. The editor provides bulk editing tools, to quickly make multiple changes to your campaigns. You will be able to quickly view campaign and ad group data/stats, as well as copy or move items between ad groups and campaigns. It also keeps working when you’re working offline. The Google AdWords editor provides bulk editing tools, to quickly make multiple changes to your campaigns. It does take some getting used to, but once you’ve become familiar with the interface, you’ll see the benefits in terms of efficiency and time-saving.